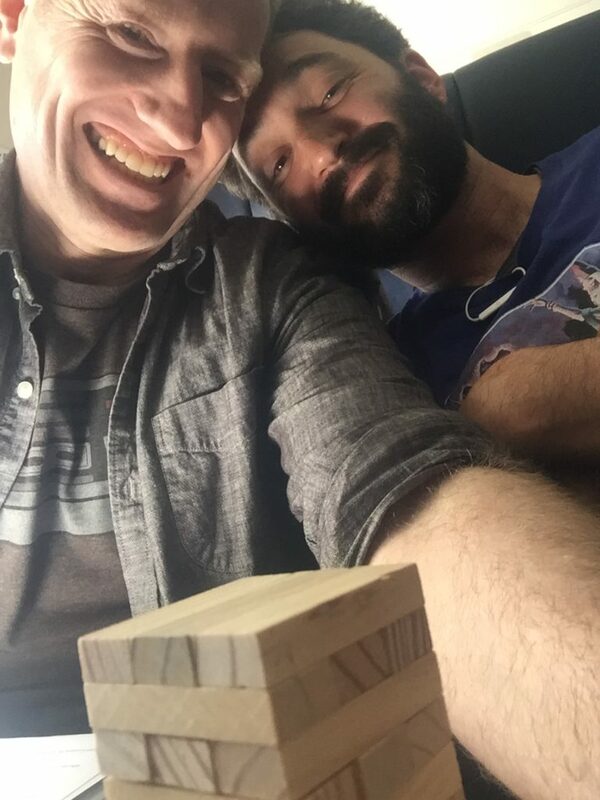 It just so happened that my flight had a stop off where Tomer was boarding, and because of the way Southwest handles seat assignments I was able to hold a seat for him…which meant that not only did we have a great time talking about games and catching up, but we also got to play Star Crossed. 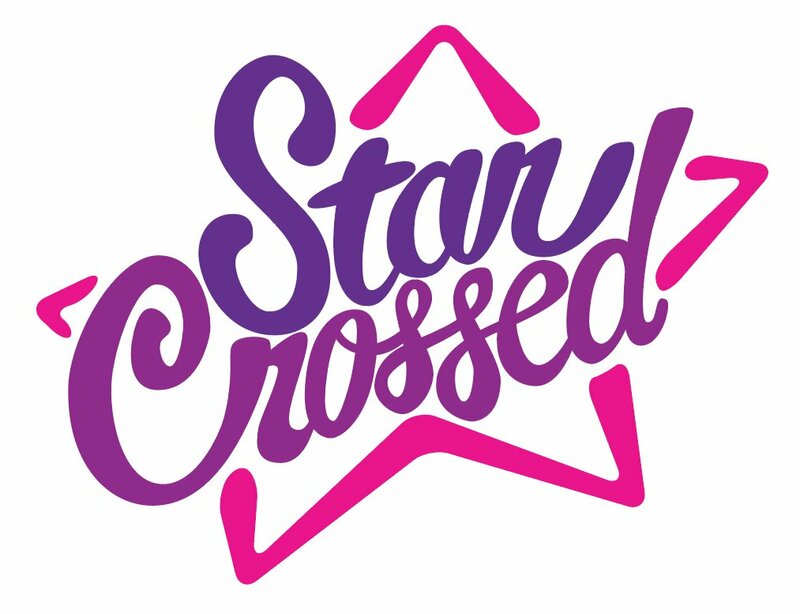 Well, a little bit of Star Crossed. Just about as soon as we started pulling, we had to put our tray table up because were about to hit some turbulence. Turbulence is right, it was already getting steamy in our game! Mostly I just wish we started sooner. As mentioned we only got two pulls before we had to put the tower away. 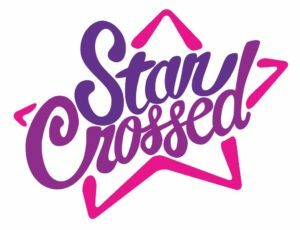 Playing Star Crossed while on a plane, playing characters flying on a plane, was amazing! Not only did we create amazing verisimilitude, but there were so many words that we couldn’t say (like crash, or weapons, etc) which made our furtive whispers and innuendo all the more delightful. Tomer brought the most wee stacking blocks game. There’s no way we’d get very many pulls in even if we had the time, but we put on our game brains and were ready to adjust the scale as needed! Tomer is a brilliant collaborator. We kept riffing ideas off each other and developing them further and further. He was also really patient. For instance, when we first started Jaime felt like a caricature (idealistic young man) and I needed a bit more to figure out how to play him with integrity. Tomer was happy to workshop the character with me till he was a character just full of conflicting values! Delicious! 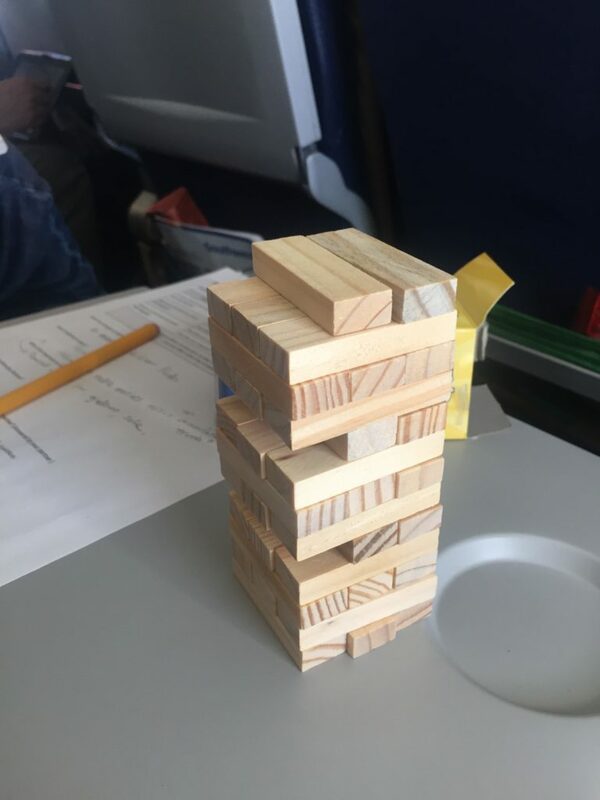 Playing an RPG on a freaking plane. How cool is that. Alex Roberts, your game is fantastic!